The Griffin Foundation School District wishes to recognize Susana Miller, 8th grade, for passing both entrance examines given by University High School and Salpointe High School. 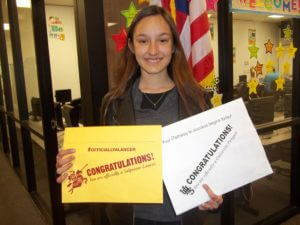 Susana will be attending University High next school year. She is an outstanding student, and we expect great things from her in the future. 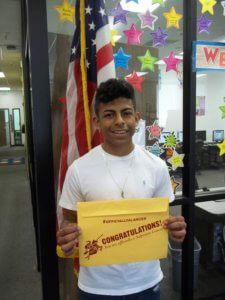 Another student in Future Investment Middle School has passed the Salpointe entrance examines. We are very proud of Caesar Cabello Garcia, and we know that he will excel in his career goals. Caesar will start Salpointe High School next school year. The Griffin Foundation School District has implemented many academic improvements to enhance our students’ educational growth, and we have raised the expectations of our students to better align with the school motto “BRAVE”. Printable forms for 2019-2020 are available now!! 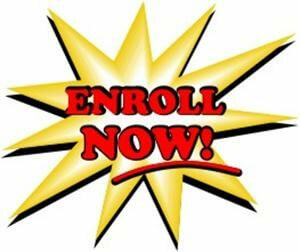 Click on the Enroll Now!!! 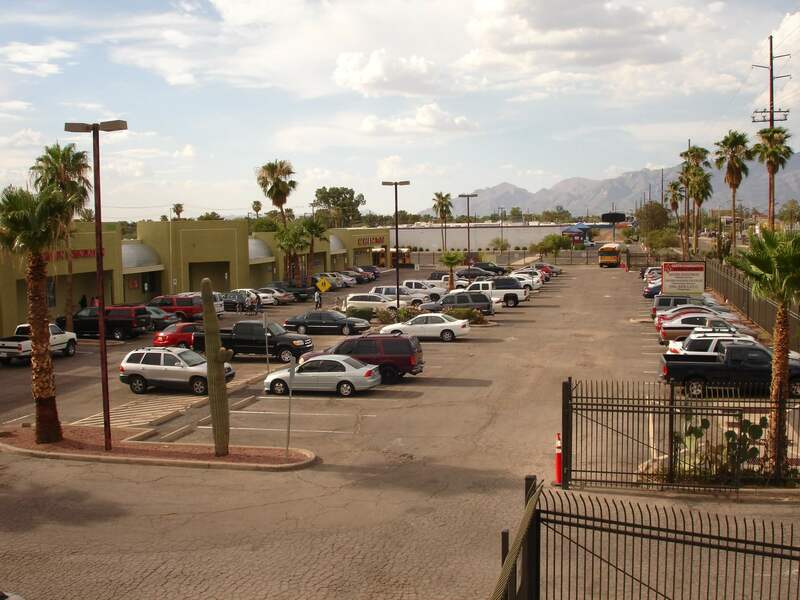 The Griffin Foundation School District is tuition free public charter school district in Tucson, Arizona. We are a system of schools recognized as an excellent learning institution for students ages 3 through 8th grade. Griffin Foundation schools have been labeled for the majority of the years as a “Performing Plus or Performing” school, indicating we are consistently striving to reaching above State Standards for student achievement. Future Investment Middle School this past school year (2017-2018) earned the Arizona Department of Education – Letter Grade “B”. The Children Reaching for the Sky elementary school earned the Letter Grade “B”. Our teachers and staff are truly are making a difference in the academic growth of students. We set the bar high for our students and expect our students to achieve the highest levels of academic performance that is consistent with their abilities. We accept responsibility for creating an environment that will allow for student growth in a positive conducive learning structure. Kids with a Smile Preschool, Children Reaching for the Sky Elementary School, and Future Investment Middle School are committed to 21st century learning that prepares our students well for what is to come after their PreK-8th grade journey. Our faculty establishes and prepares students for higher education. We incorporate a dynamic 21st century curriculum taught by highly competent professionals that are held accountable for assessment results that are vital to our students’ academic success. At the Griffin Foundation School District we have zero tolerance for bullying and/or disrespecting other students/educators. Kids with a Smile Preschool is a child-centered, fee-based program for children 3 – 4 years of age. Our mission is to create a supportive learning environment where all members of the school, including children, parents, and staff, can feel they are accepted, nurtured and growing. Give your child the best public education opportunity available to achieve success. CRS is a K-5th grade preparatory elementary school. There are no fees or tuition. We also provide breakfast and hot lunch and before and after school childcare to our students. Our school enables students to become literate, self-motivated, life-long learners by providing a student-centered teaching environment in which all students are held to high academic and behavioral standards in Language Arts, Mathematics, Science, Social Studies, Computer Technology, and Investments and Entrepreneurship. See information about upcoming school events and news, school options for military families and printable enrollment forms! In addition, find the GFSD school calendar, Home Work schedules, and School Menus. We also have much more to offer the entire family including information on parent involvement and sleep requirements for children. The Griffin Foundation School District is a one stop educational program to enhance the experience of our families. We are constantly trying to find ways to improve the quality of education for your child. Our faculty and staff appreciate your support and commitment to your child’s education. We look forward to the continuous success that we have maintained in meeting the Arizona State Academic Standards. The Griffin Foundation provides a variety of education tools to help our students succeed! Visit our Student Practice page to see the different programs available, including the Khan’s Academy, to practice a variety of subjects. You can visit Study Island and Plato and also see AzMERIT and AIMS Science practice assessments. 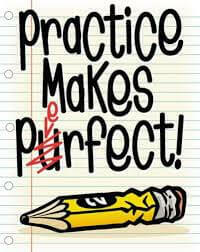 Students can practice as much as he/she has time to develop their skills and improve their academic growth. Parents should allow a predetermined amount of time per night for their child to practice. If you need assistance, our IT/Computer Instructor will assist you with this process.